A personalized message for everyone in the fam! Did you know that people can better recall a brand message when they get it via direct mail rather than by email, or by viewing ads online? 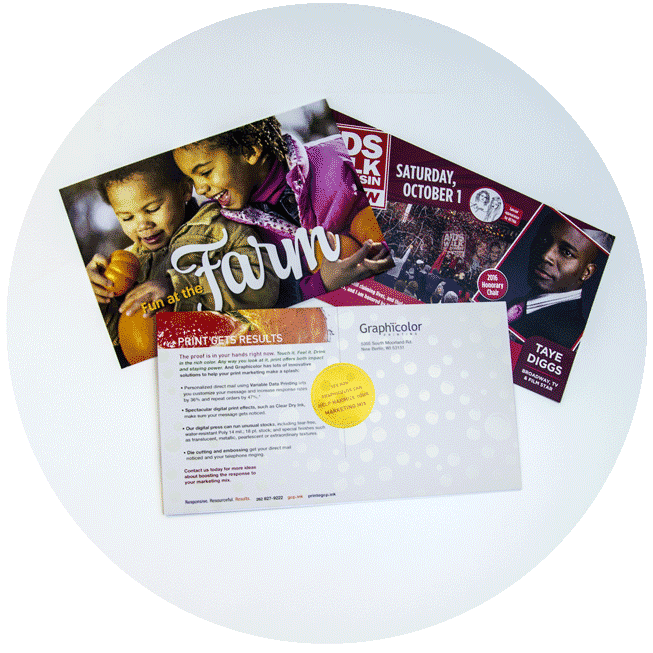 Graphicolor Printing can target your message and make it more meaningful to your demographic by using DYNAMIC VARIABLE DATA PRINTING. Sending a custom message using text, photos, coupons, or bar codes is so easy! 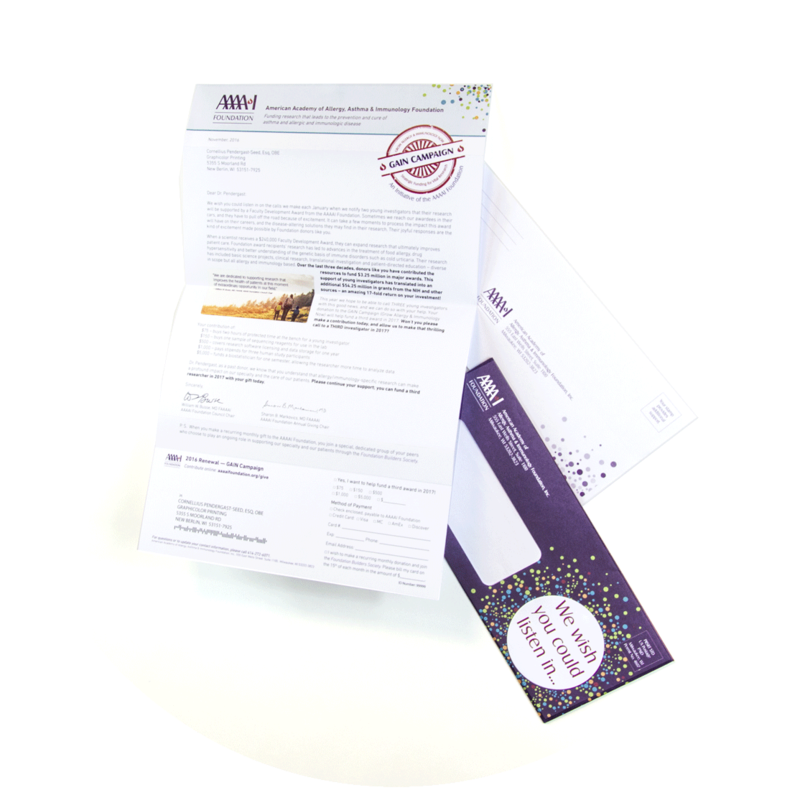 Was your direct mail campaign a winner? By using a coupon or bar code, you can track response rates. Are postal regulations making your head spin? We can help guide you through that maze and recommend ways to reduce postage costs. No worries, we got your back. 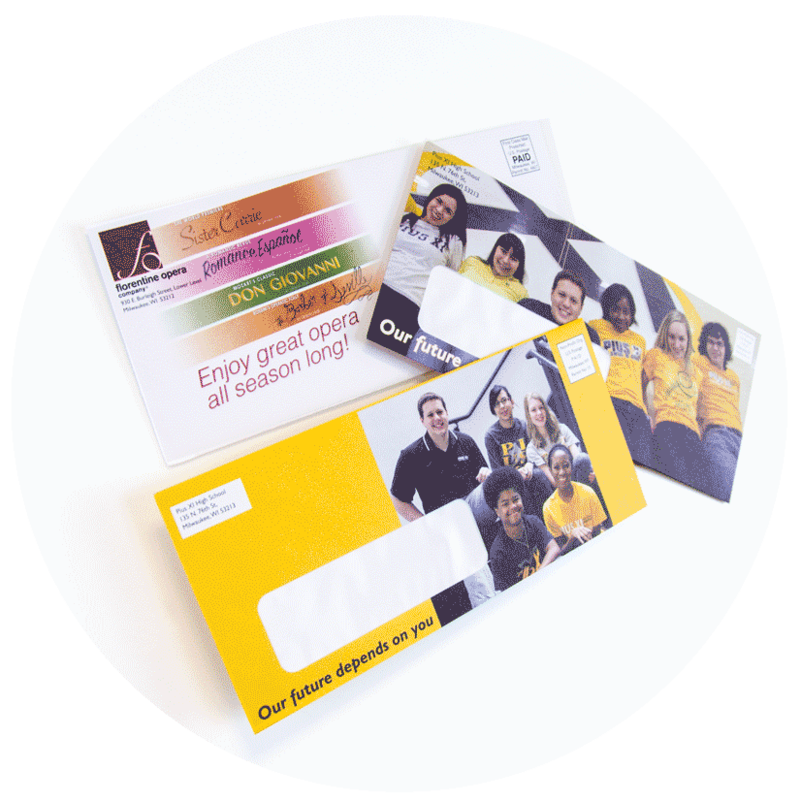 Direct mail advertising is one of the most effective and profitable ways to reach new and existing clients. Personalizing your message is key. We can print various sizes and include customized messaging for your target audience. Make your design stand out by using unique stocks, colors, and special effects like clear ink or coating options. Plus we’ll mail it for you. Get your brand in front of prospects, rinse and repeat. 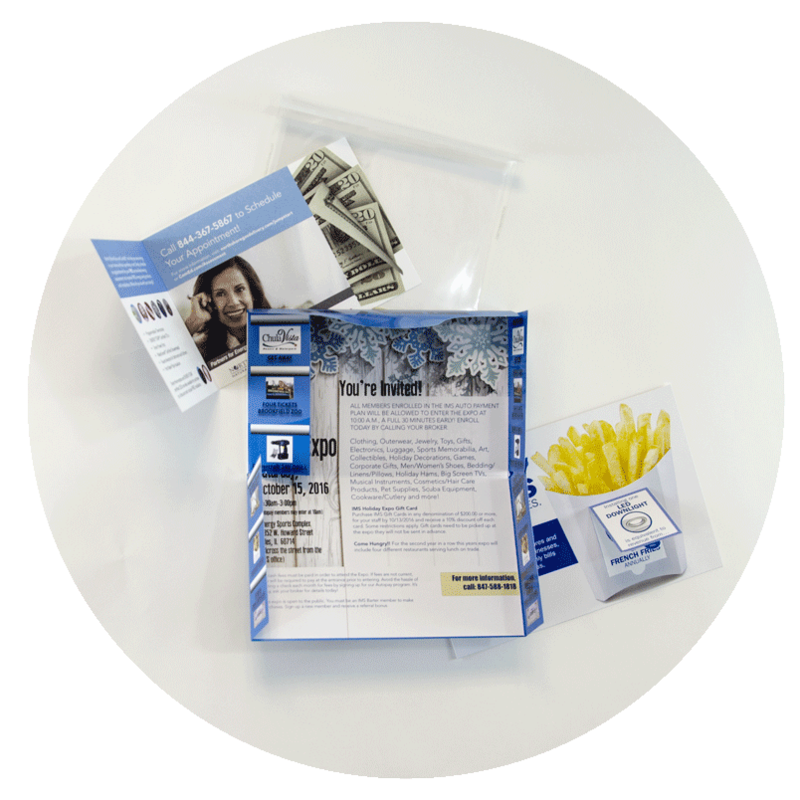 Compel clients and prospects to open your direct mail piece with graphics that scream “open me!” We can print on both sides, offer countless envelope sizes, window sizes, styles, and paper stocks. You can personalize each envelope with different images, graphics, and copy using our Dynamic Variable Data Printing technology for that one-on-one personal message that gets opened and not trashed. There’s no better way to get attention than using a direct mailer that invites your audience to interact through touch. Whether it’s pulling off a coupon, revealing a message underneath a tab, using unique laser-cut shapes, or a glossy crystal-clear envelope. We’ll help you stand out from the rest! The non-profit appeal is the most effective way to solicit donations. With Dynamic Variable Data Printing, we can customize just about anything on your letter and envelope. Custom options include the amount donated last year, to the dollars you’re requesting this year, signatures, board member names, donor names and addresses, text, graphics, and images. We’ll walk through your mailing list before we go to print to make sure all your data gets put in the right place!